Before we begin, Windows users, let's start the affirmation: We use Windows. We all agree that iTunes has a terrible design. 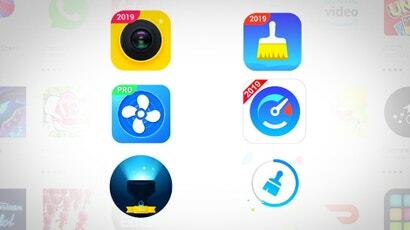 We will throw a party if Apple ever modernises its app, but we hate that iTunes is the best possible option for synchronising content with our iPhones and iPads. Now that we've gotten that out of the way, you should stop using iTunes — the version you downloaded from Apple, that is. You're not quitting the app completely. You should just replace it with the version Apple just launched in the Windows Store. No, the Windows Store iTunes doesn't look any different than the iTunes you'd otherwise download from Apple. And it doesn't contain any extra functionality. You aren't going to see Clippy pop up and ask you about what music you'd like to synchronise to your iDevice, as much as that might delight us. Just to prove our point, here’s the version of iTunes we downloaded from Apple. And here’s the version of iTunes we downloaded from the Windows Store. Why use the Windows Store version of iTunes? If you have Windows 10 S — and I feel bad for you, if so — you have no choice. 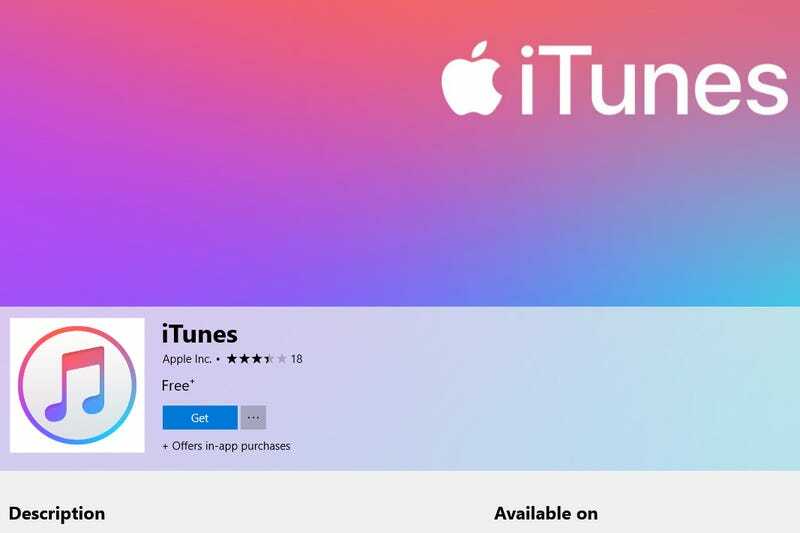 Since you can't just download and install any app you want from the web, the Windows Store version of iTunes is the only way you're going to be able to use iTunes. 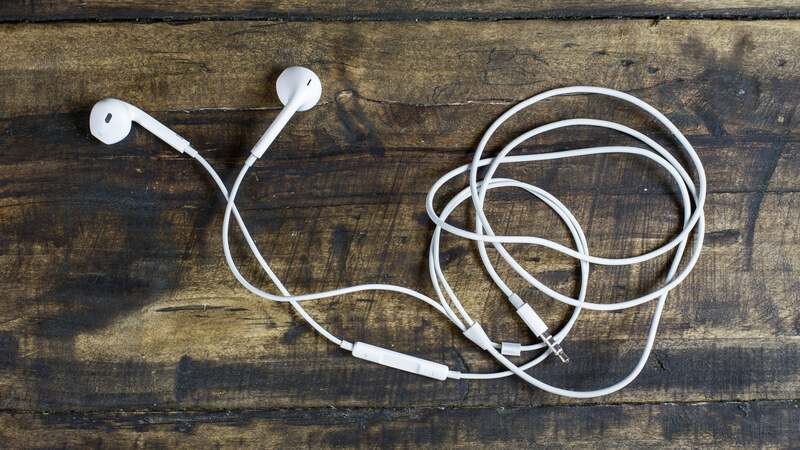 Sorry it took so long for you to be able to synchronise your music to your iPhone on Windows. For most Windows users, the single compelling reason to use iTunes as a Windows Store app, rather than as a standalone download from Apple, is that you won't be nagged about updates anymore. That's it. If that's not a turn-off for you then, by all means, stick with version you grab from Apple if you want. I, however, can't stand the occasional pop-ups from Apple's Software Update tool on Windows. It's annoying to have to manually install iTunes every time Apple has an update. And for the thousandth time, I do not want to install iCloud for Windows. I never want to install iCloud for Windows. I would rather go buy a Mac than install iCloud for Windows — that's how poorly implemented Apple's utility is. 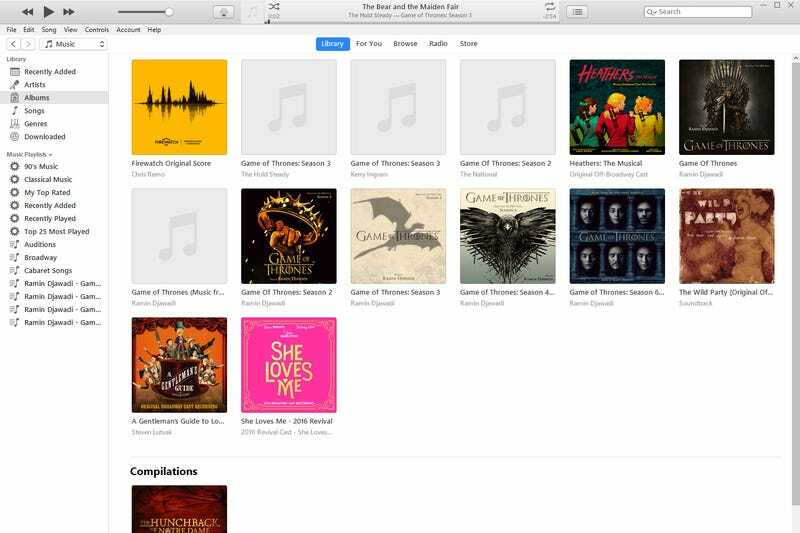 If you're using iTunes that you downloaded from Apple, stop what you're doing right now. You don't have to uninstall the app, move your music library to a temporary folder, or, well, do anything. Just do nothing. See that big “Get” button on the Microsoft Store listing for iTunes? Click on it. The one downside of the Windows Store version of the app is its size: nearly 463 MB. The installer for the 64-bit version you download from Apple only eats up 259 MB. We’re surprised that it’s so easy to transition from the Apple-downloaded version of iTunes to the Windows Store version. Just click Yes and let the installer work its magic. While some users of the Windows Store version of iTunes have reported difficulties getting the app to recognise or synchronise files to their iPhones or iPads, I haven't had any issues whatsoever. The Windows Store iTunes looks, feels, and operates just like the version you'd otherwise download from Apple directly. If you're having issues, though, you'll want to uninstall the Windows Store version and download the iTunes installer from Apple's site. 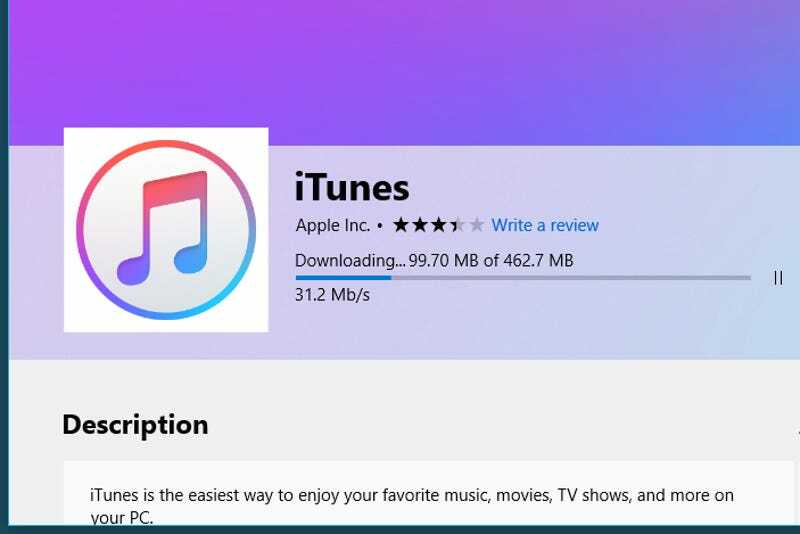 It's too early to tell whether there will be any delays between iTunes updates released via the Apple Software Update tool and the iTunes updates for the Windows Store version of the app. I can only presume that both versions will receive updates at roughly the same time, but I'll report back if I notice that its taking iTunes forever to update via the Windows Store. Really wish i didnt have to use Itunes on windows but given as i have 3 ipods the program is the bane of my existence. Really wish apple would put more effort into fixing it because underneath its a great program for organising your music. 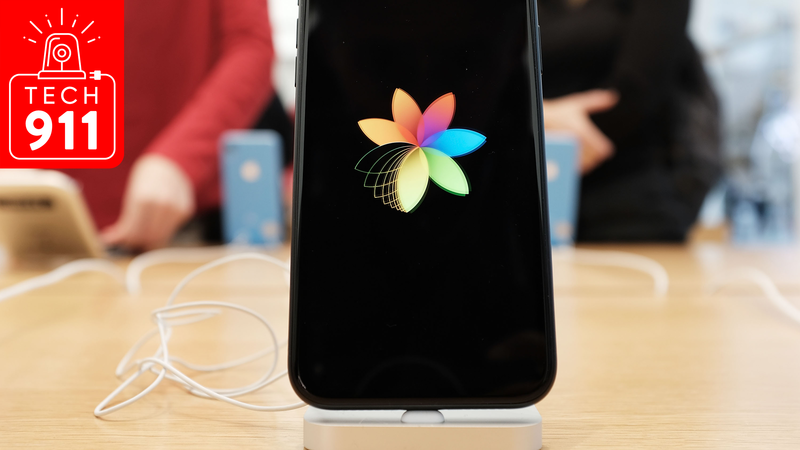 Its just that apple seems to not care about it out of spite. To be fair though microsoft treated its office suite almost exactly the same on OSX for quite a while. What, I'm really confused?? This isn't true. I've had Windows 10 since the beginning and as my wife uses the Apple Garden, I've had iTunes installed nearly as long, without issues.